In 1967, three new car ferries were delivered to Coast Lines to update their Irish Sea services. 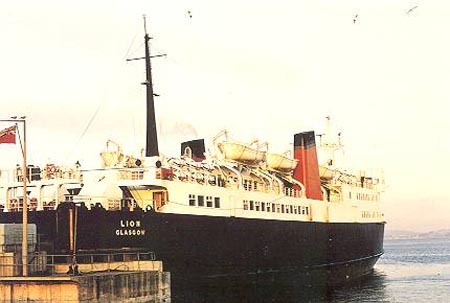 The Ulster Prince and Ulster Queen replaced the pre-war motorships Ulster Prince and Ulster Monarch on the Liverpool-Belfast night service of the Belfast Steamship Co, and Lion took over the Ardrossan-Belfast day service of Burns & Laird. 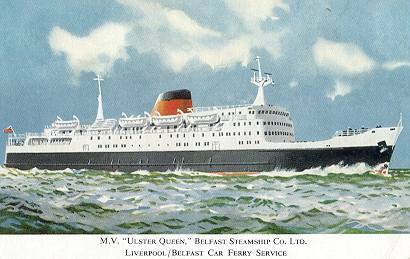 Coast Lines were purchased by P&O in 1971, and the Liverpool boats appeared in P&O Ferries colours with pale blue funnels. 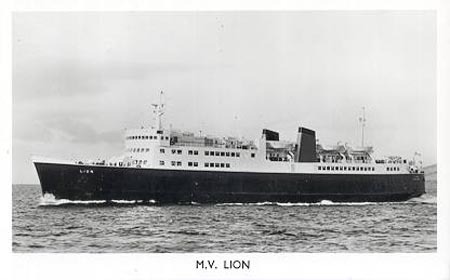 The Lion was transferred to their Normandy Ferries Dover-Boulogne service in 1976. Belfast SS Motorships - Liverpool-Belfast night boats. 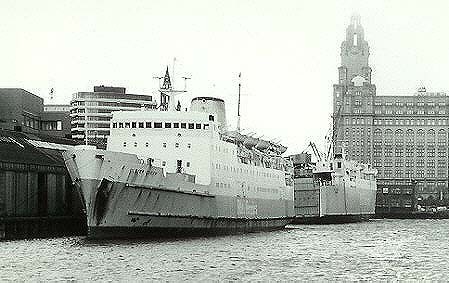 British and Irish Motorships - Liverpool-Dublin night boats. G & J Burns Paddle Steamers - Ardrossan-Belfast day services. Burns & Laird Turbines - Ardrossan-Belfast day services. Burns & Laird Motorships - Glasgow-Belfast and Dublin night services. City of Cork Motorships - Swansea-Cork night boats. Harland & Wolff Motorships - 13 night boats built at the Belfast yard. 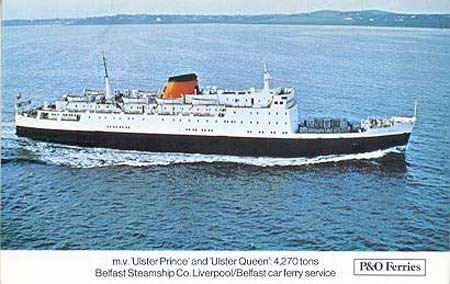 Belfast Steamship Co. Ltd Ulster Prince (1967) Liverpool-Belfast service 4600 tons, 378ft long 274 1st class passengers, 138 2nd class (cabin), 598 2nd class (seats). 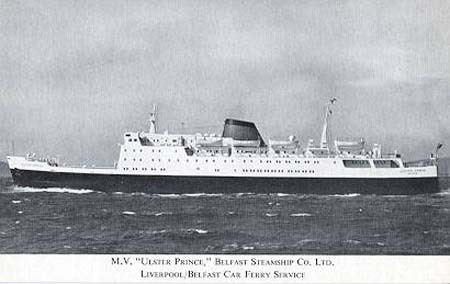 Ulster Prince was built in 1967 by Harland & Wolff Ltd, Belfast for the Liverpool-Belfast service of Belfast SS Co. From 1971, the service was marketed as P&O Ferries, although registered owners only changed to P&O in 1978. 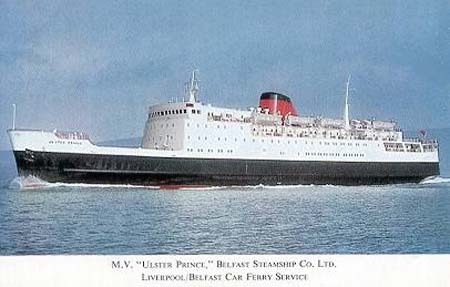 The Liverpool-Belfast service closed in 1981, and Ulster Prince was laid up at Oostende. 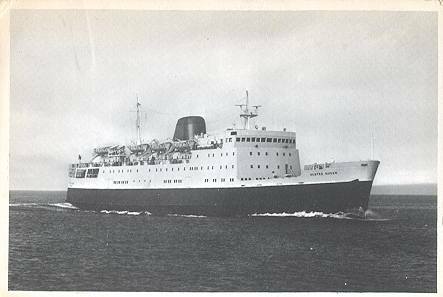 In 1983 she served Lady M for Marlines, followed by service as Tangapakorn, Long Hu and Macmosa in the Far East. In 1995 she was bought by Hellenic Mediterranean Lines, and renamed Neptunia, but later the same year was in use as Panther for Hellenic Orient Lines between Bari-Cesme. In 2000 she was named Vatan and then Manar, the latter for Al Thuraya Marine Service Co, Dubai between Port Rashid-Umm Qasr (Iraq). She was the one of the first merchant ships to enter Umm Qasr after the 2003 Iraq conflict. 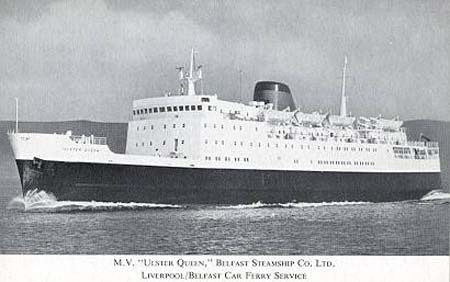 Ulster Queen (1967) Liverpool-Belfast service 4600 tons, 378ft long 274 1st class passengers, 138 2nd class (cabin), 598 2nd class (seats). 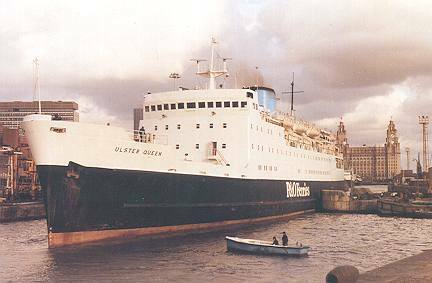 Ulster Queen was built in 1967 by Harland & Wolff Ltd, Belfast for the Liverpool-Belfast service of Belfast SS Co. From 1971, the service was marketed as P&O Ferries, although registered owners only changed to P&O in 1978. 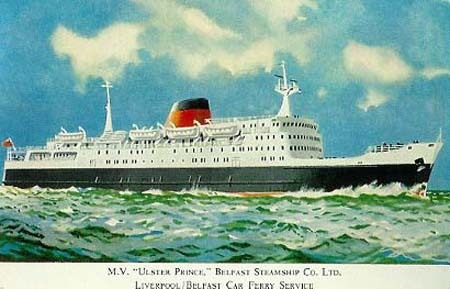 The Liverpool-Belfast service closed in 1981, and Ulster Prince was laid up at Oostende. Service followed as Med Sea, Al Kahera and Ala-Eddin. 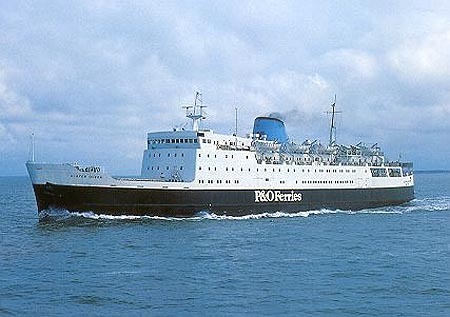 In 1988 she was bought by Hellenic Mediterranean Lines, and renamed Poseidonia. 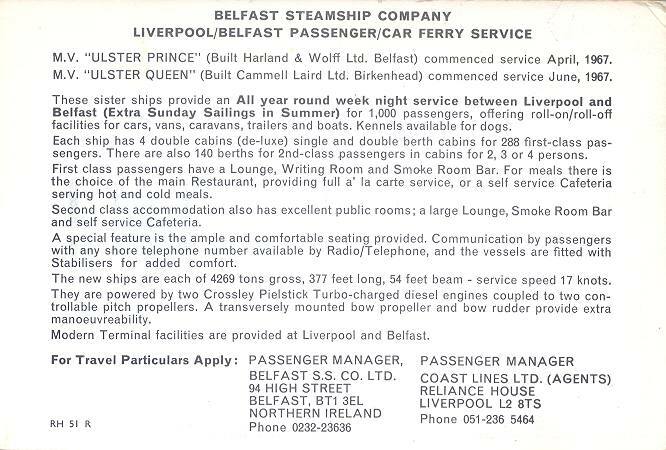 This is an official Belfast Steamship Co information postcard, with a full text back. To see the text in a new window click here. Simplon Postcards sp1079 issued December 1991. Ramsey Postcards serial number 133 issued September 2001. 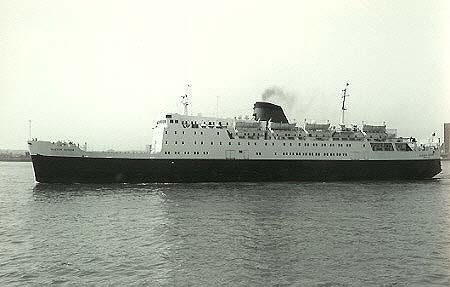 Burns & Laird Lines Ltd Lion (1967) Ardrossan-Belfast service 4100 tons, 365ft long, 1200 passengers). See Normandy Ferries for subsequent P&O service of the Lion. A complete postcard history of Lion is available on this link. Official Burns & Laird Line postcard of the Lion. Simplon Postcards sp1080 of the Lion, issued December 1991.